If you want to enter the Twilight Zone then go to a meeting of Hartlepool Borough Council. The Chairman can’t seem to get the hang of counting to two and even more bizarre a motion commending the Labour Government for everything it has achieved since 1997 was passed only because Conservative Councillors voted with the Labour Group! Worse was to come! The Mayor seems to have offered the Tall Ships Organisers a blank cheque for the race. Current cost estimates are over £2,200,000 (and rising). Either the Mayor really doesn’t have a clue about the ultimate cost or he is hoping to keep it quiet until after he seeks re-election in 2009! The Mayor and Cabinet agreed in April to establish a Tall Ships Office and authorised the appointment of a Project Manager (at a cost of £150,000). 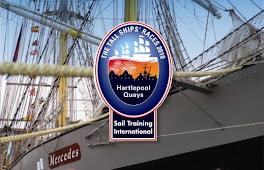 However, the Tall Ships Bid submitted by Hartlepool Council included an argument for the race to come to Hartlepool because for the past 18 years Hartlepool Council has employed an experienced events organiser, with a Yacht Skipper qualification, who has crewed on more than one tall ship. Indeed this person was part of the group accompanying the Mayor to Stockholm just last month. Finally, the Mayor told the meeting that alternate weekly collections (once a fortnight to you and me) had pushed recycling up to 38%. A Council Press release sent out the next day claimed recycling in the town was at its highest ever level of 27%. Twilight Zone indeed! Tis a good blog you have here. Very readable.